How working in underexploited niches can help you develop leverage. How power can be used and harnessed not only for individual gain but also for the benefit of others. How well-established principles can help you obtain more influence. 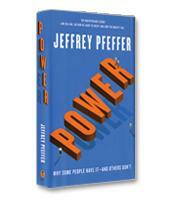 How to succeed and wield power in the real world.